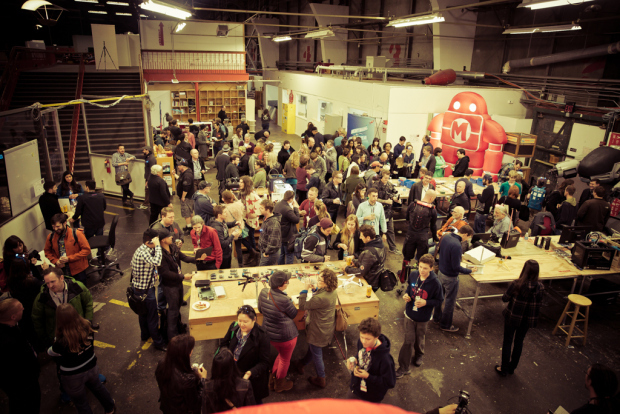 The Make Lab, full of makers at our recent wearables get together. You are invited to attend a Maker Faire Bay Area Town Hall Meeting, February 24th, at our new location in San Francisco – Maker Media Lab (located at The Palace of Fine Arts Exhibition Hall, now called Innovation Hangar, and formerly the location of The Exploratorium). If you’ve never been there, prepare to be stunned, the location is absolutely beautiful and our new labs are coming along quite nicely. 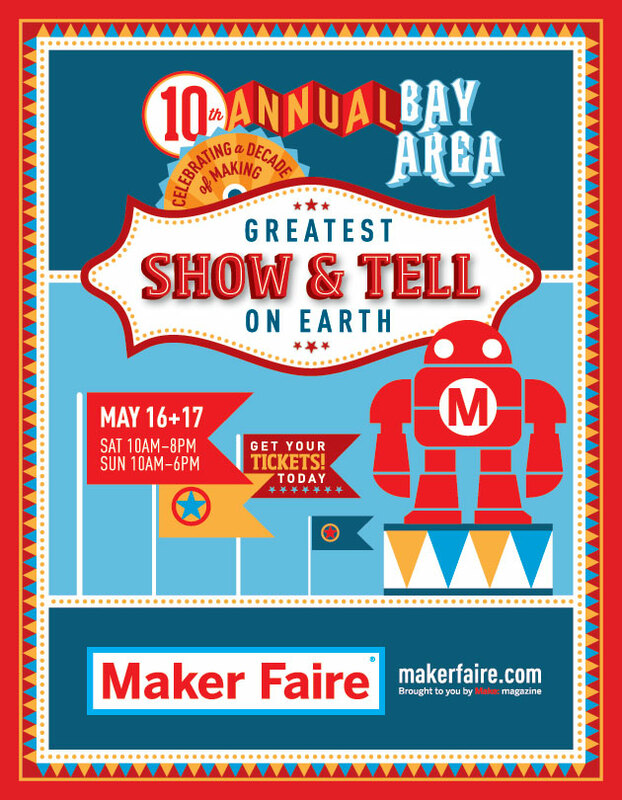 This is our 10 year Anniversary for Maker Faire Bay Area! We’ve got some great plans already and we hope you will join us as we make even more for this very special year. Dale, Sherry, Louise and The Maker Faire Team will be hosting this event and we look forward to updating you on Maker Week (kicking off with MakerCon), getting your input, feedback, and advice on reaching out to new Makers and communities. We will be onsite at 6:30pm and the general session will start at 7:00pm. Light refreshments will be served and we will be bringing marketing materials for you to share (flyers, posters, stickers and more). The second round applications from the Call For Makers are being accepted until Thursday Frebruary 26th. Acceptance notifications will be sent out starting March 12th. Remember, early bird pricing for the 10th annual Maker Faire Bay Area ends Saturday, February 28th!